The Orientation Trip is the most exciting first week of school students will ever experience! 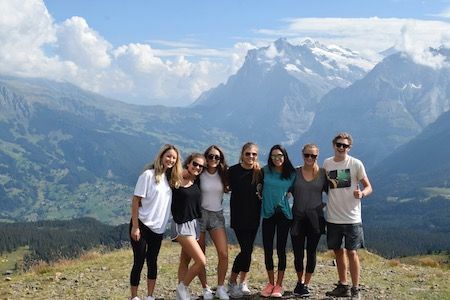 A tradition since the school's founding, students and faculty spend Orientation travelling through the different regions of Switzerland together. By visiting the Italian-speaking region (Locarno) and the German-speaking region (Grindelwald)—before living in the French-speaking region—students gain a sense of the interesting and diverse cultures of their new home. The trip is designed to provide students and staff with the opportunity to get to know each other in a relaxed, casual and fun setting. What better way to learn about the program and adventures to come in the year ahead! The vast majority of students arrive at NJC without knowing anyone else, and by the end of the Orientation trip, they have truly bonded as a group. It happens like Swiss clock-work every year. Since everyone is away from home, the bonds formed are strong and this makes for a positive, inclusive culture at the school. When Britain declared war on Germany in 1914, it was expected that Canada, as a member of the British Empire, would be involved. Canadians of British descent supported this belief and argued that Canadians had a duty to fight on behalf of Britain. Over the 4-year period of this war, 620,000 people were mobilized, of which 67,000 were casualties with an additional 173,000 wounded. Canada’s sacrifices and contributions will forever be memorialized at Yypres, Vimy Ridge, Passchendaele, and the Somme, amongst others. Many view World War I and, in particular, the Battle of Vimy Ridge, as marking the “birth of a nation” and Canada’s independence. Remembrance Day is observed on November 11th each year to recall the end of hostilities of World War I at the 11th hour of the 11th day of the 11th month in 1918, with the German signing of the Armistice. The red remembrance poppy has become a symbol of Remembrance Day. The Menin Gate Memorial to the Missing is in Ypres, and each year on November 11th war veterans from many countries return to Ypres to participate in Remembrance Day ceremonies. Its walls hold the names of nearly 55,000 soldiers who were never found, and each evening at 20.00, in an expression of gratitude, the road beneath the memorial is closed and the Last Post is sounded. By the end of this important mandatory trip, NJC students have a much greater appreciation for this epoque in world history and Canada's integral role. On the Classical Civilizations trip to Greece and Italy, students explore Rome, Sorrento, Pompeii, Mount. Vesuvius, Capri, Amalfi Coast, Athens, to name a few destinations. Learn while experiencing the life and culture of two beautiful European countries over two weeks! Students may elect to spend the break helping to build or renovate homes with Habitat for Humanity in a European country. Students also tour select cities and sites prior to starting and after working on the service project to learn more about the country and its people. Projects have been supported in Portugal and Hungary in recent years. In 2004, NJC students helped lay the foundation for the 100th Habitat for Humanity home in the town of Csurgo, Hungary. Since that time, we have had one or two teams continue the tradition every year. 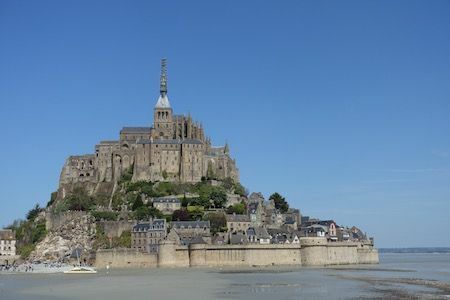 During the Second World War, the D-Day landings on the Normandy Beaches under the code name “Operation Neptune” began the lengthy battle of Normandy, which eventually resulted in the liberation of Paris. Canadian forces landed at Juno Beach to face heavy artillery, suffering 50 percent casualties on the first wave. By the end of D-Day, a total of 30,000 Canadians had been successfully landed, and the 3rd Canadian Infantry Division had penetrated further into France than any other Allied force. In 2003, the Juno Beach Centre opened to memorialize the contributions and sacrifices of Canadian soldiers during the liberation of Europe. 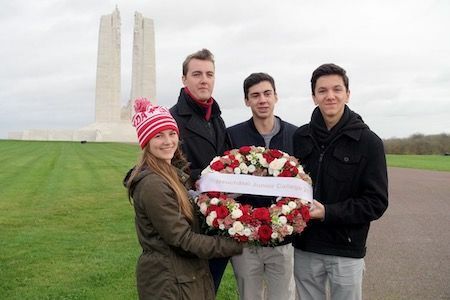 NJC students gain a first-hand appreciation for this important period in Canada's history during this mandatory trip to Normandy.